Wow! 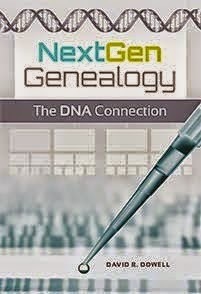 2014 has already been a great year for genetic genealogists. First FTDNA introduced new X-chromosome analysis tools. This has already been blogged adequately by Roberta Estes and CeCe Moore so I will not attempt to duplicate their good work here. You may click on the image above to see the details for this offer on the FTDNA site. Many more details were also released from the DAR site. The DAR is even sponsoring a new online course about using DNA evidence in support of DAR applications. Hallelujah! 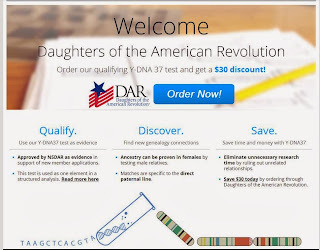 I have long been a critic of the DAR for not accepting DNA evidence to DISPROVE long accepted lines when that evidence establishes the members could not have been related to the Revolutionary patriot within genealogical time. Now I may have to initiate a new conversation with their staff. Labels: Cece Moore, DAR, FTDNA, online course, Roberta Estes, X-chromosome analysis.